6th Battalion Yorkshire Regiment. Husband of Isabella Williams (formerly Graham), of 12, Model St., Murton Colliery, Co. Durham. Killed 28 September 1916. Aged 34. Born Thornley (Durham), Enlisted Sunderland, Resided Murton Colliery. 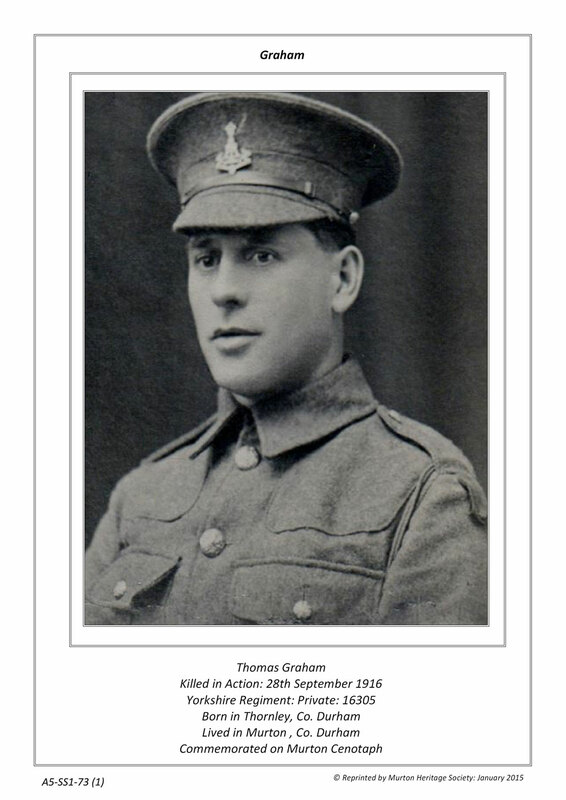 The photo of Private Graham has been kindly provided by Elaine Miller (<emiller@sky.com>) of the Murton Heritage Society.